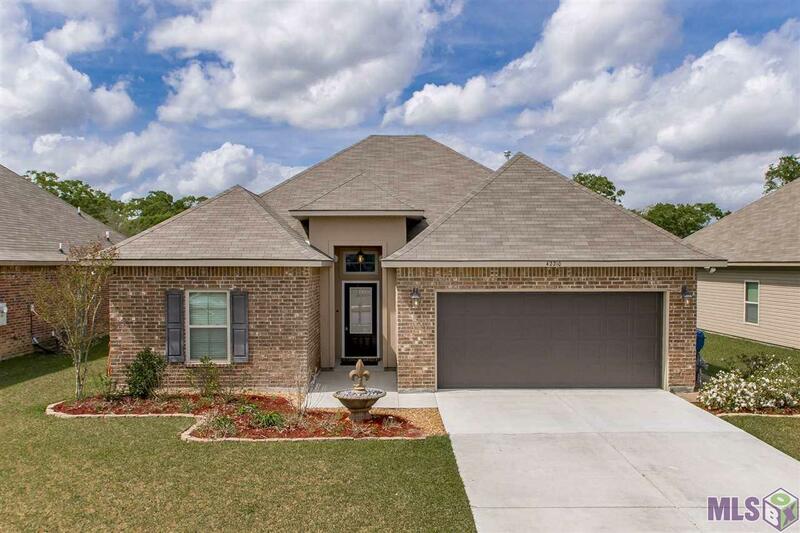 3 year old 3 BR, 2 bath lake lot energy efficient "smart home" with a beautiful extended covered patio over looking the lake in Keystone of Galvez! Enough room for a TV and outdoor living room - great for parties! Excellent modern kitchen with open floor plan, bar, granite counters, gas stove, stainless appliances & beautiful views of the yard and lake! Washer, dryer, & refrigerator to remain. A modern and beautiful master bath with amenities galore! Schedule your showing today!